Cucusoft Ultimate DVD Converter 7.06 - Convert DVD to Video format(H264, MP4, WMV, AVI, MOV, RM, 3GP, flv, SWF, mpeg-1, mpeg-2, VideoCD, SuperVideoCD, DVD, etc) and Audio format(AC3, AAC, MP2, MP3, MP4, RA, WMA, etc.). 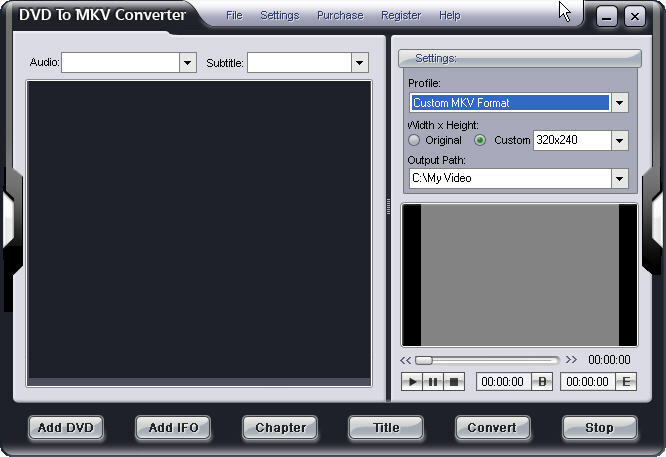 4Media DVD to PS3 Converter - convert DVD to PS3 video formats as MPEG-1, MPEG-2 and MP4 and PSP Video formats, and extract DVD into audio formats MP3, AAC with high quality. Altdo DVD Ripper Diamond - Rip DVD movies or just the parts of the movie. It copies in high quality AVI(DivX/XviD, Pocket PC), VOB, PMP, PSP, MOV, AMR, MP3, AAC, AC3, MPEG-4(iPod, Zune, Apple TV), MPG(XBox360), VCD(MPEG-1) and SVCD (MPEG-2) formats. iSofter DVD Ripper Platinum 3.0.2007.125 - Convert DVD to MPEG4, AVI, DivX, XviD, VCD, WMV format video files, and rip music DVD to MP3 audio. Ultra DVD Ripper 1.2.0529 - rip DVD (CSS, REGION, MACROVISION, SONY ARCCOS protected dvd) movie to AVI, DivX, Xvid, MPEG, WMV, MP4, iPod, PSP, 3GP, MP3 etc. iSofter DVD Ripper Deluxe 3.0.2007.228 - An easy used dvd ripping tool which can convert DVD VOB to DivX, DVD VOB to AVI, VCD, SVCD, MPEG, and so on, with high ripping speed very easily. iSofter DVD-Audio Ripper Deluxe 3.0.2007.228 - Provide a simple, fast method to convert DVD to MP3, DVD to WMA format. 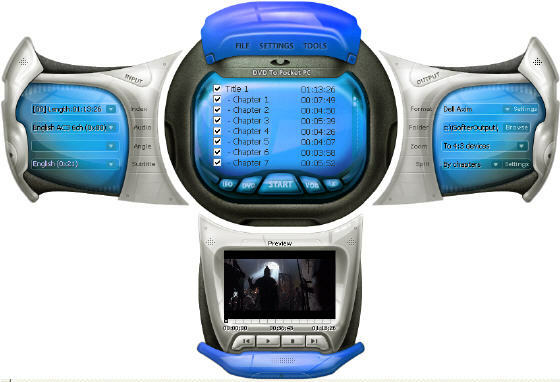 It is an ideal solution of ripping music DVD, old movie and convert DVD to mp3. Aimersoft DVD Audio Ripper 1.0.19 - Rip DVD audio to MP3, WAV, AAC, AC3, WMA and M4A formats. The ripped audio files can be played on all MP3 players such as iPod, iPod nano, iPod shuffle, Zune, PSP, iPhone, iRiver, Archos, Creative and other MP4/MP3 players. dvdXsoft iPod Video Converter - Convert all popular video formats to MP4 files for playing on iPod Video. 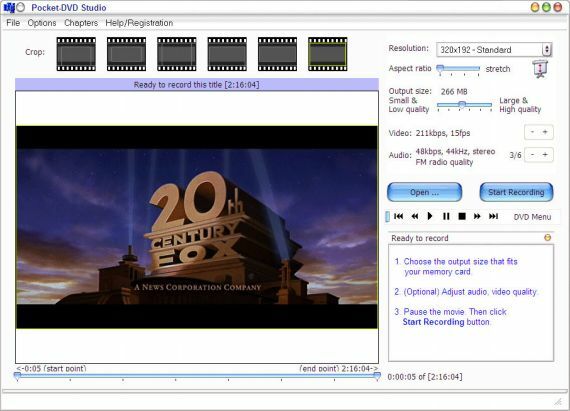 It can convert from MPEG-1, MPEG-2, MPEG-4, WMV, XVid, DivX, FLV, AVI, RM, RMVB, MOV, and more other formats. It supports XVid and H264 codec for MP4 files. 321Soft DVD Ripper - Convert DVD Movie to MPEG, AVI, VCD, SVCD on-the-fly with excellent video/audio quality and high ripping speed. Acala DVD Ripper - a intuitive to use program which rips your DVD movies to AVI, VCD, SVCD format video. Acala DVD Audio Ripper - a intuitive to use program which extract your favorite DVD movies audio track and make it into your music. Acala DVD iPod Ripper - a intuitive to use program which convert your DVD movies to iPod movies. 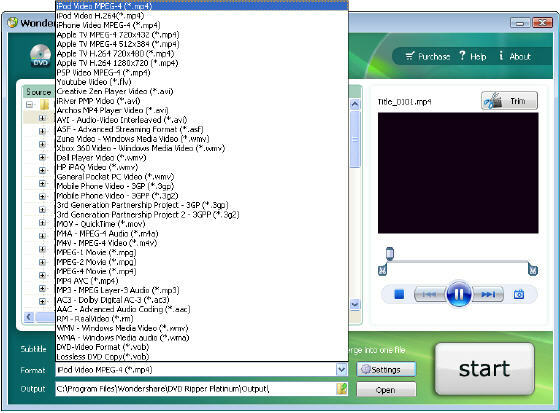 Acala DVD PSP Ripper - a intuitive to use program which convert your DVD movies to PSP movies. Wondershare DVD to 3GP Ripper - An innovative DVD copy software for mobile phone (Nokia, Motorola, Sony Ericsson and other mobile phones) - convert DVD movies to 3GP format, you can select the subtitle and audio track of the DVD movie. Wondershare DVD Ripper Platinum - An all-in-one super DVD Ripper which can rip DVD to PS3, DVD to Creative Zen, DVD to Zune iPod iPhone Mobile, and many more!. 321Soft DVD to iPod PSP Ripper 1.02 - Convert your favorite DVD movie to MP4 for playing on Apple iPod or Sony PSP devices. PQ DVD to iPod Video Converter 2.5 - Convert DVD as well as Tivo2Go, DivX and other popular video files to iPod Video in one click. Flash DVD Ripper 0.90 - A piece of easy-to-use DVD ripper software for ripping DVD to MPEG, DVD to AVI, DVD to VCD, DVD to SVCD video formats on-the-fly. iSofter DVD to PPC Converter - Extremely easy to use DVD to Zune ripper which helps you convert DVD to Zune MP4, convert DVD to Zune MPEG-4 and WMV video, with excellent image and sound quality.